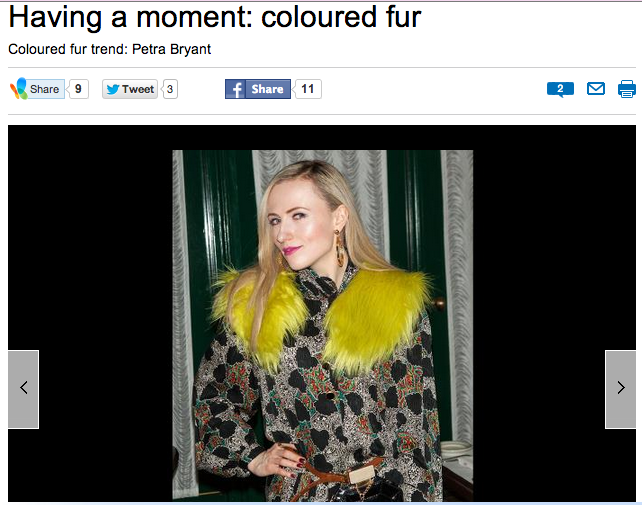 Petra Bryant was captured at a Celebrity event in New York wearing the new trend, coloured fur. 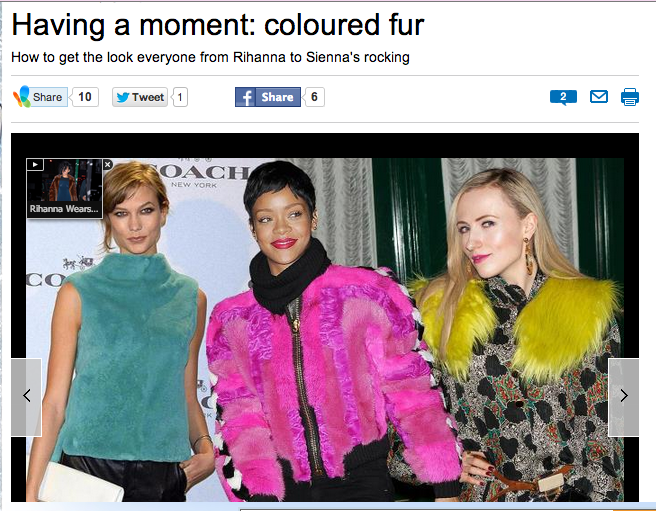 Here she is featured alongside Rihanna, who is also wearing coloured fur. Read the full article here. Petra was also featured on her own looking stunning in green fur.